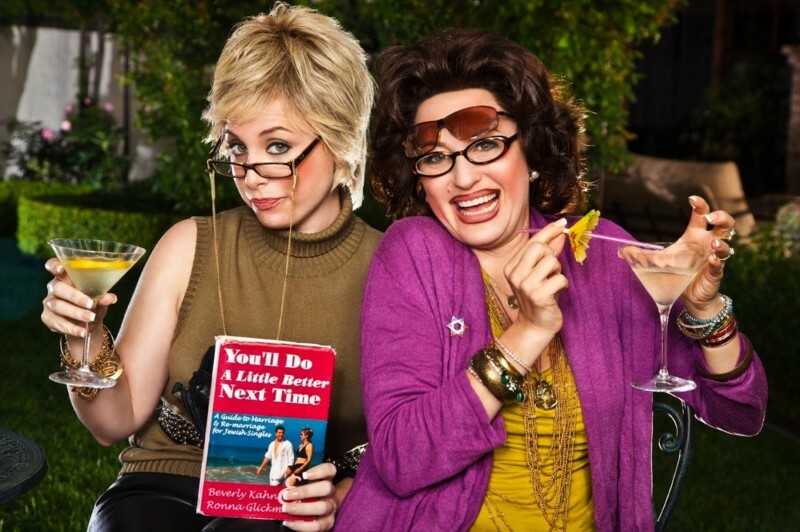 Stars of their own hit podcast on the Earwolf Network, Ronna Glickman & Beverly Ginsberg are the best-selling co-authors of “You’ll Do A Little Better Next Time: A Guide to Marriage and Re-marriage for Jewish Singles” (“It says Jewish in the name — but it’s for everyone!”). These outspoken fifty-somethings from Boston, who can be seen regularly at the Upright Citizens Brigade Theatre in Los Angeles, dispense their unique brand of relationship advice while interviewing/interrogating celebrity guests. Join us tonight for a live taping of the podcast featuring interviews with special guests Julie Klausner (“Difficult People) and comedian Wyatt Cenac. The taping is part of WNYC Studios’ Werk It podcast festival, bringing together women in audio and digital media who are looking to hone their skills, meet others in their field, and learn from peers and experienced industry professionals. The festival runs from June 15-17 and is by application only. Tonight’s live podcast taping is open to the public.